Spring is officially here, which means that in just a few short months your vegetable garden will be in full bloom. Fortunately, your local Crate & Barrel furniture store’s Urban Farmer collection can help when the time comes. Complete with gardening supplies as well as garden-to-table cutlery, these housewares are perfect for this year’s harvest. While interior design may be Crate & Barrel’s specialty, that doesn’t mean this modern furniture store can’t embrace all the wonders the environment has to offer. 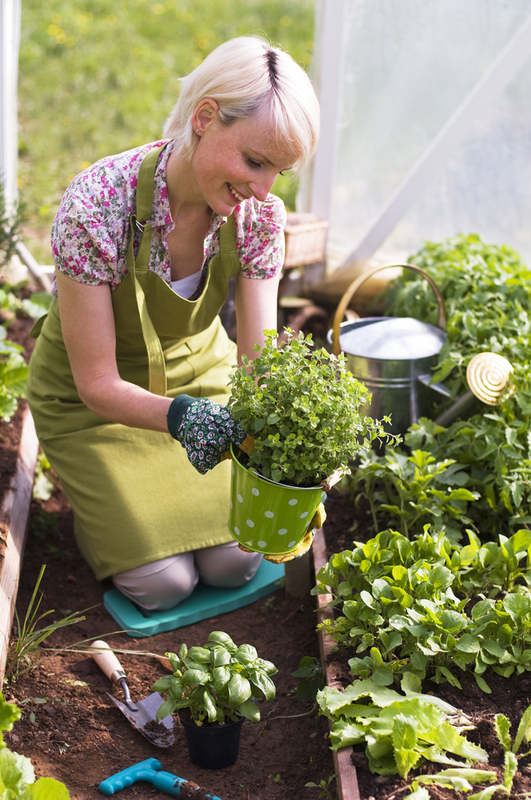 Their gardening supplies, for example, will help you turn any sized space into a lush, flavorful garden. Then, once the harvest arrives, their cutlery and kitchen appliances allow you to unleash the herb’s and produce’s naturally bold flavors from your very own kitchen. Lastly, invite your friends and family to join in on the feast using Crate & Barrel’s new, modern serveware. Get Growing at Your Local Crate & Barrel! Now’s the time to put that green thumb into action. Shop the Urban Farmer collection at your nearest Crate & Barrel furniture store today.